High load switchers or multi switch circuits are made to save you energy when you are doing indoor gardening as well as keep your operations safe from any power fuses. Multi switch circuits are devices that allow you to plug in several different devices without blowing out your electricity and, in turn, harming your plants. These are very helpful for a grow room because you don’t have to worry about plugging in too many devices while you are indoor gardening. Depending on the room, it might be difficult to find outlets that would apply to everything you need. You might want to go with a power strip because they are easy to use and they offer at least four to six outlets to plug devices into, but these multi switch circuits will avoid any conflicting operations that may take place. Additionally, you don’t have to worry about running too much equipment at the same time. If you decide to go with a power strip, then you could be in danger of one or more of your pieces of equipment turning off without you noticing and that could be detrimental to your plants. These high load switchers will be the life source of your indoor gardening operation because it’ll give you all the electricity you need without conflicting with anything else as well as save you money in the long run. At Plug ‘N’ Grow™ Controllers, we offer several different high load switches you can use in your grow room. Our goal is to ensure that you have all of the equipment you need to have an indoor gardening facility that blossoms. Each of these devices is made to supply many pieces of equipment to keep your operation afloat. You’ll find they are easy to use and you won’t be in danger of conflicting operations in your grow room. In addition, you won’t have to think about any equipment turning off because you blew a fuse. With our abundance of options to pick from, you’ll find a high load switcher that will meet your needs. When you purchase these devices, you can expect to safely use several pieces of equipment at the same time. 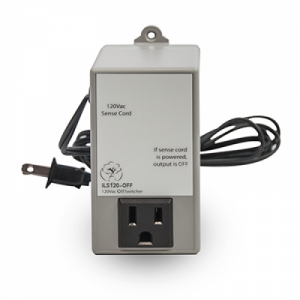 On some of these devices, there is a low cost timer or a controller to amperage the equipment. There are also optional on-delay timers to give you the ability to protect the circuits. Additionally, there is an interface relay low voltage circuit system that controls any high power equipment you may have. Lastly, these pieces of equipment are useful because you can add equipment to help the process when it comes to heating or cooling your grow room. Controlling the voltage levels in your grow room is exceptionally important because if you blow a fuse then all of your equipment will shut off. By purchasing these multi switch circuits, you’ll be using low voltage, so there’s no overload of power in your grow room. Find the perfect high load switcher for your needs by shopping below. You can find the best product for your growing needs when you shop at Plug ‘N’ Grow™ Controllers. 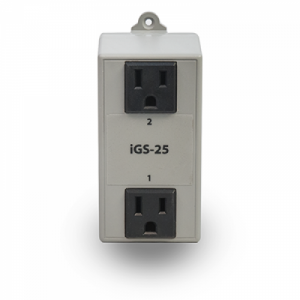 The iGS-25 power box has two auxiliary outputs and allows iGS controllers to control two devices through a six foot cable supplied with the unit. The iLS120-OFF reverse relay avoids conflicting operations: for example, it is useful to inhibit CO2 enrichment, a dehumidifier and/or other equipment on another circuit when ventilation equipment is running. The iLS120-ON directional relay is useful for adding equipment to augment a process like heating or cooling. It allows you to add additional equipment exceeding the controller load capacity: the equipment is simply activated when the current is active at the controller output. The ilS4-121 electrical load switcher safely switches high amperage equipment with low cost timer or controller. Used with optional on-delay timer, the iIS4-121 activates its outlets in sequence to protect circuits from overload at equipment startup. 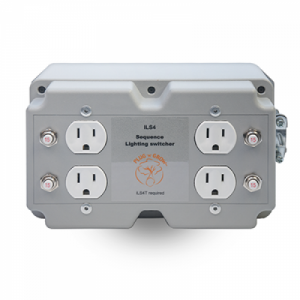 The ilS4-121S electrical load switcher safely switches high amperage equipment with a low cost timer or controller. 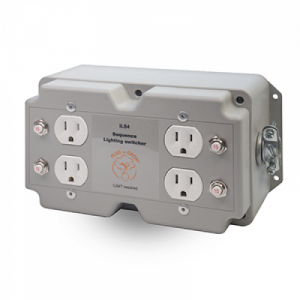 Used with optional on-delay timer, the ilS4-121S has the ability to activate outlets sequentially to protect circuits from overload when the equipment starts. The ilS4-241 electrical load switcher safely switches high amperage equipment with low cost timer or controller. 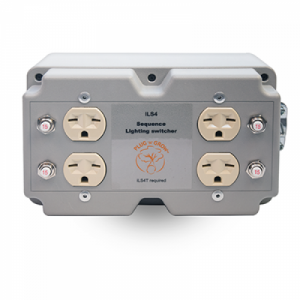 Used with optional on-delay timer, the ilS4-241 has the ability to activate outlets sequentially to protect circuits from overload when the equipment starts. 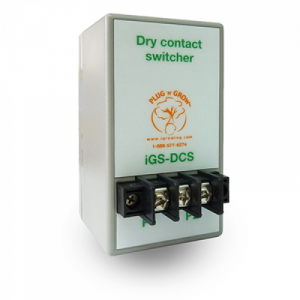 The iGS-DCS is an interface relay low voltage circuit used to control high power equipment. It is usually used as an interface to a climate controller for control conventional low voltage circuit for heating, air conditioning, or anything else.